No one was happier than me to see A.M Homes win the recent Women's Prize (formerly the Orange Prize) for fiction last month. 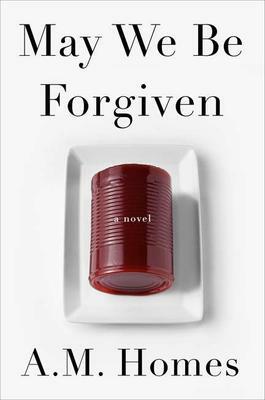 May We Be Forgiven was simply the best novel I read this year, and I've been a fan for a very long time. I owe Chris Alic, an old Words Worth staffer for putting me onto Homes in the first place and Music for Torching is an all time favourite as well. Homes dabbles in TV writing (L Word) but the new book is a legitimate contender for the elusive Great American Novel turf. The novel is, at it's core, a story of familial competition between George and Harold Silver. Homes has been around for years, and as perfected a stiletto-like delivery and the speed to get to the meat of a narrative quickly. Along with Lydia Millet and Lionel Shriver she's about as blue chip as the modern novel gets. I'll simply drop everything to read new work.